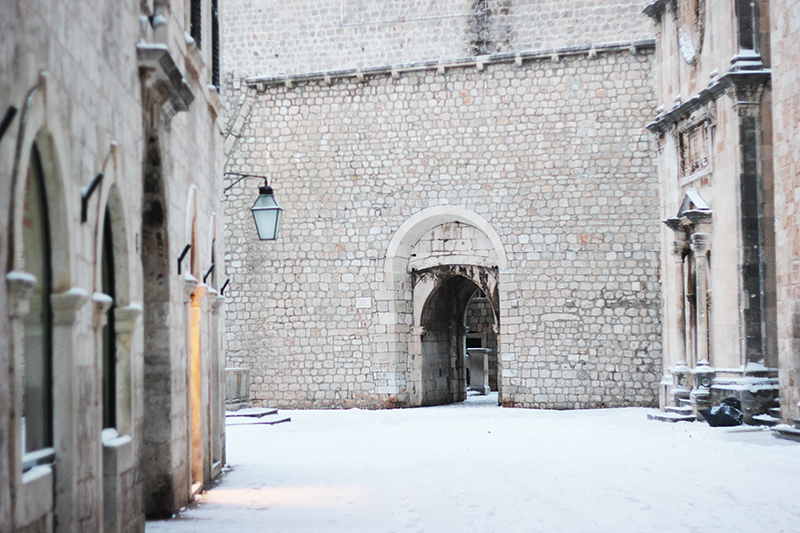 This morning was the biggest surprise ! 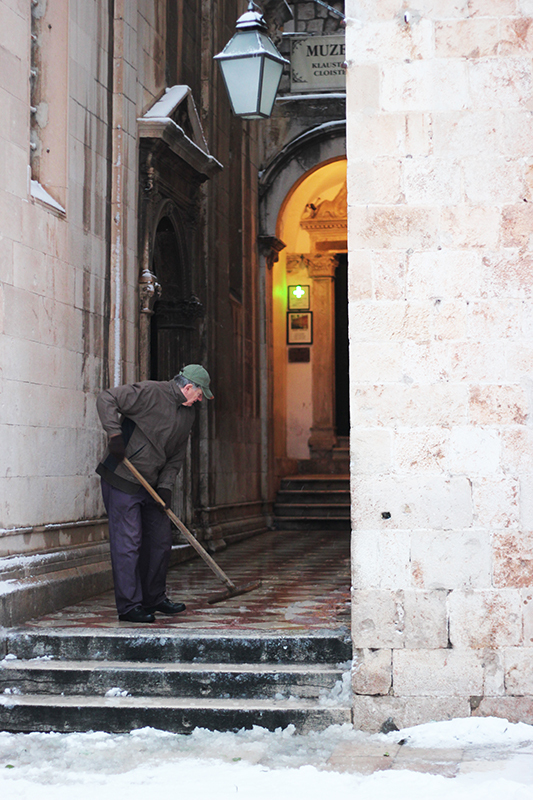 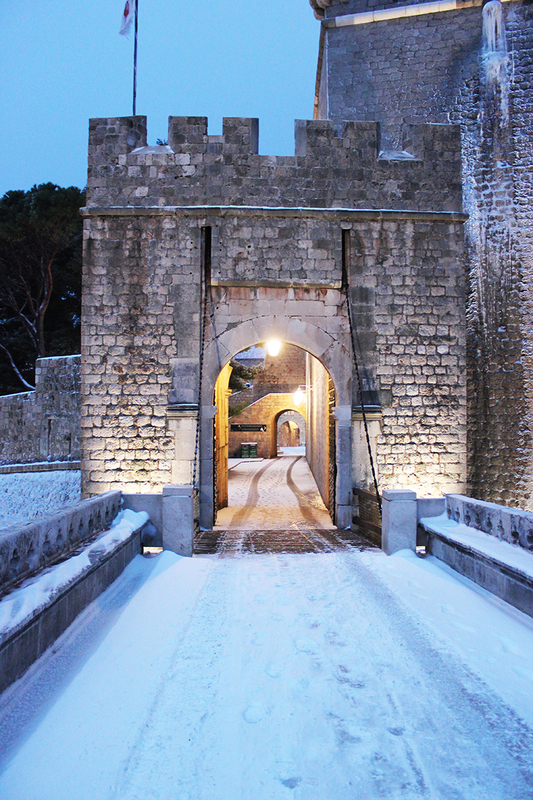 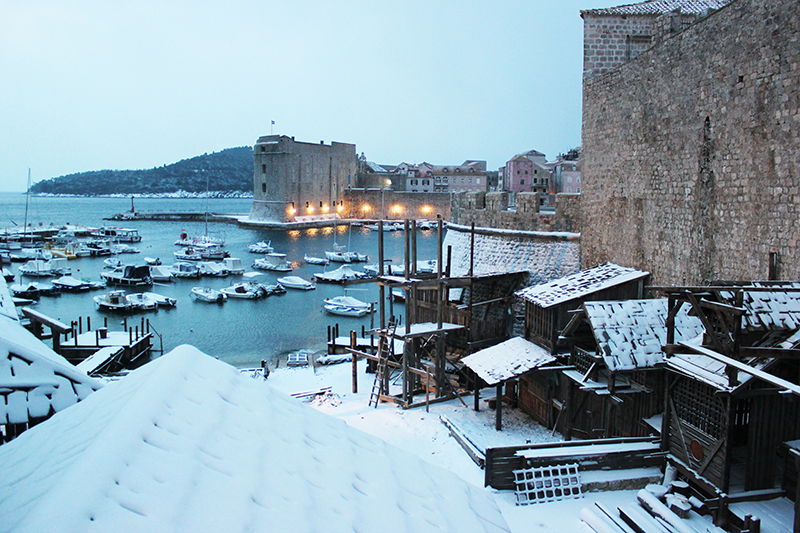 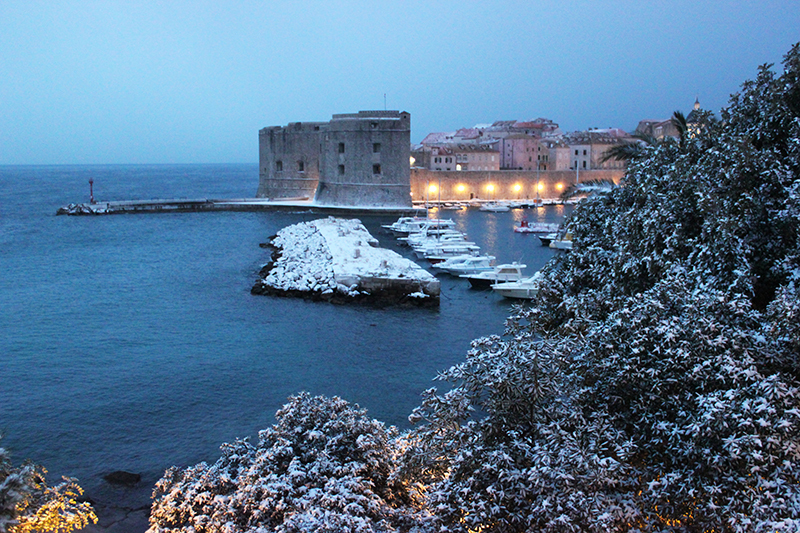 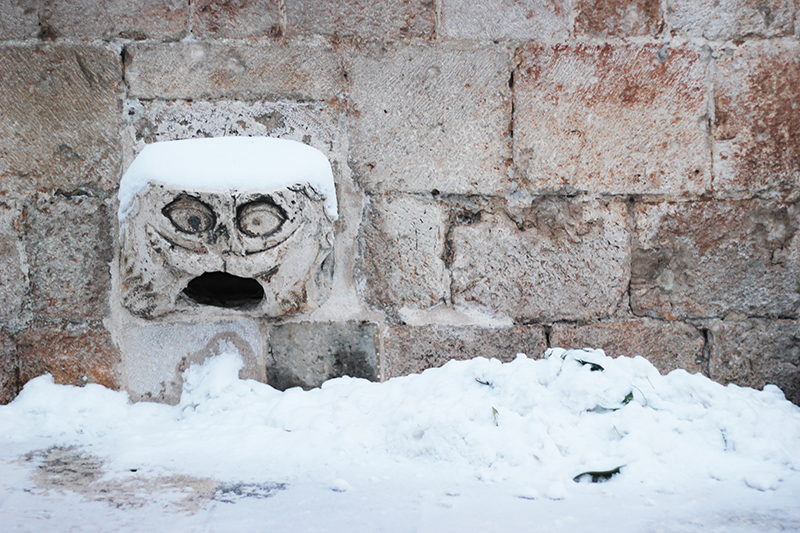 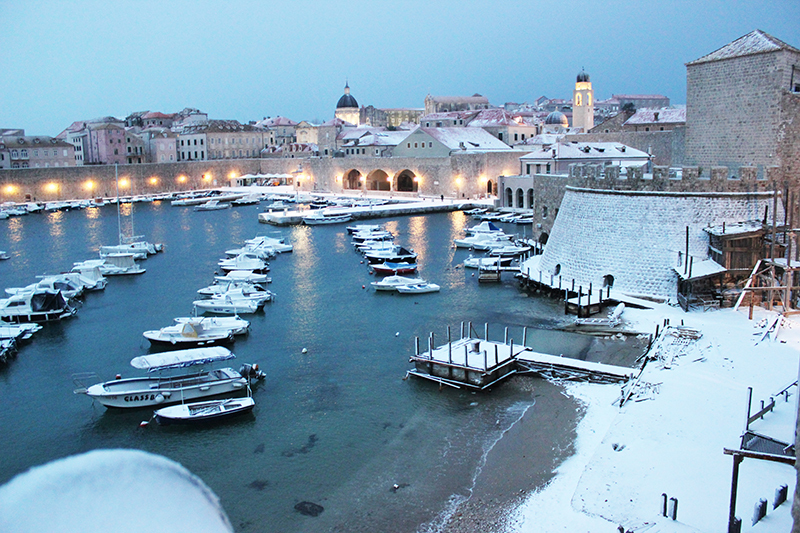 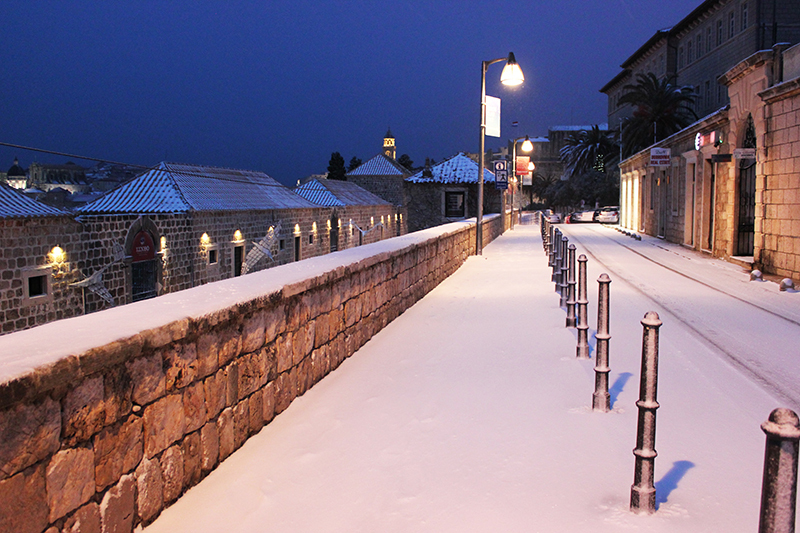 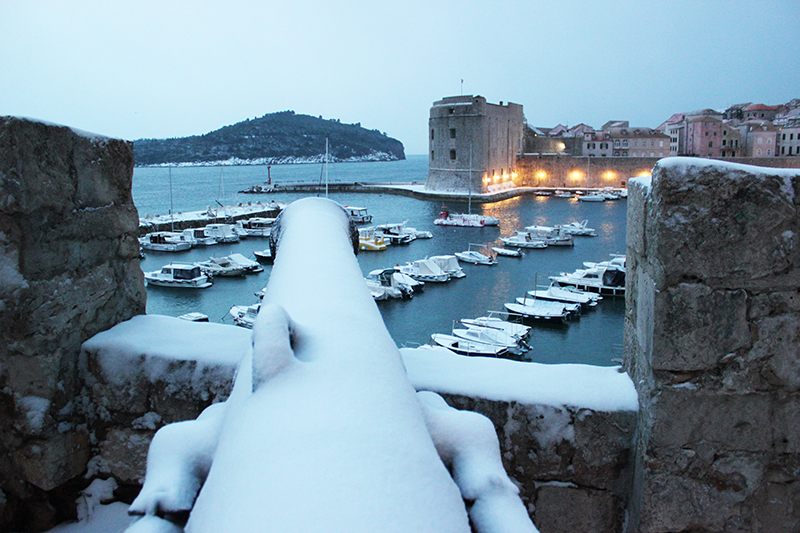 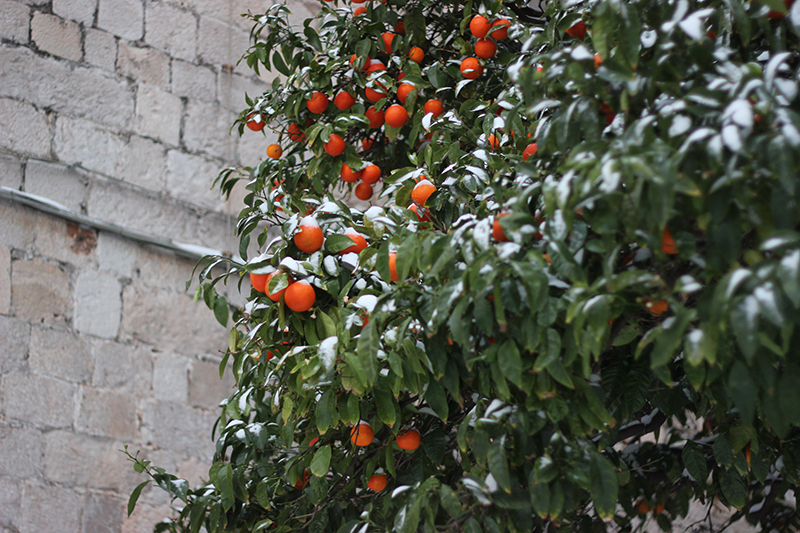 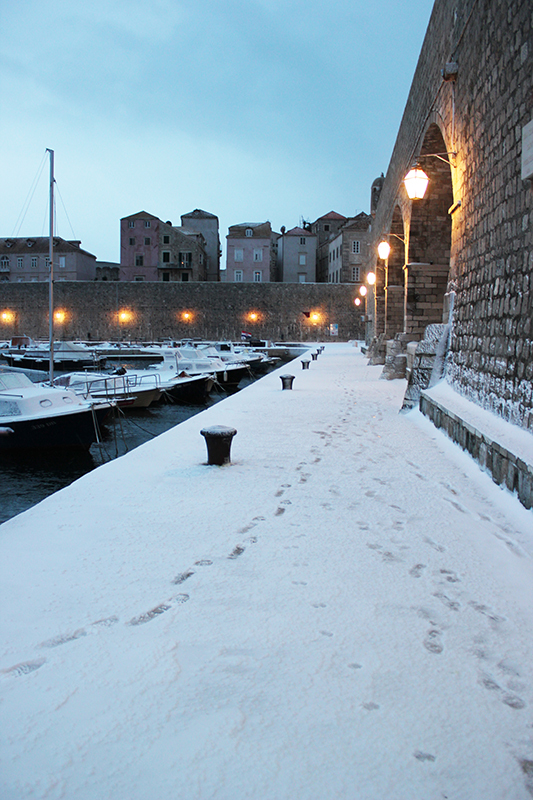 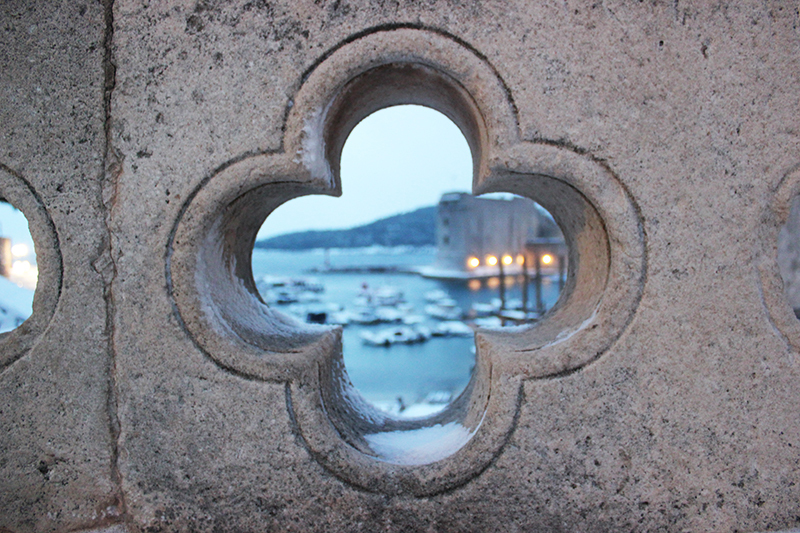 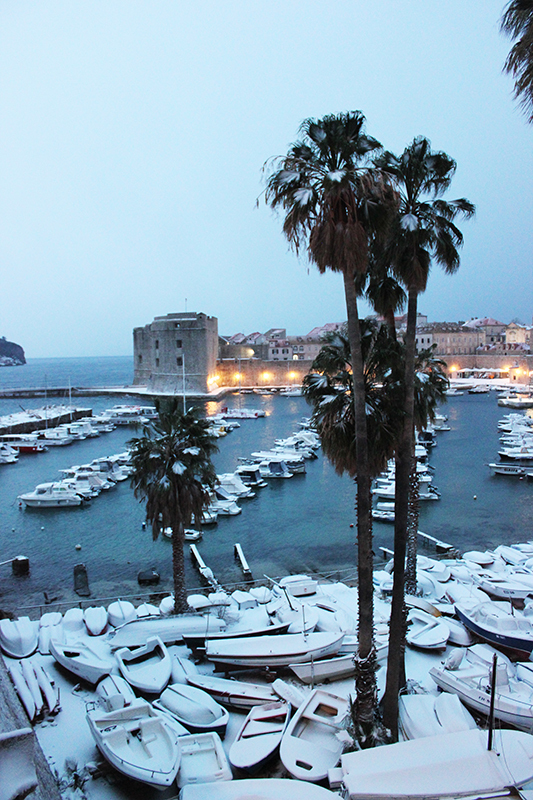 Yes, as you can see, Dubrovnik woke up under the snow. 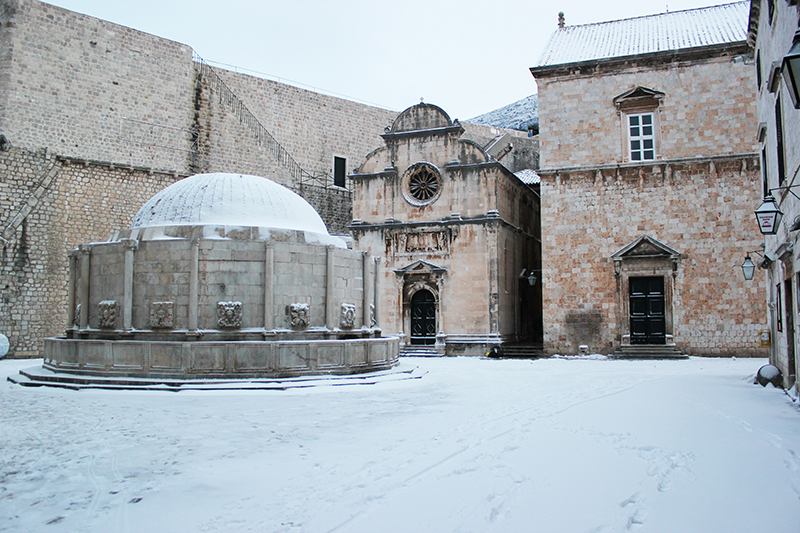 My eyes are wide open, my hands are literally frozen, but the only thing my hungry heart desires is to catch the best shots of snowy Dubrovnik, which are (unfortunately) so rarely seen. 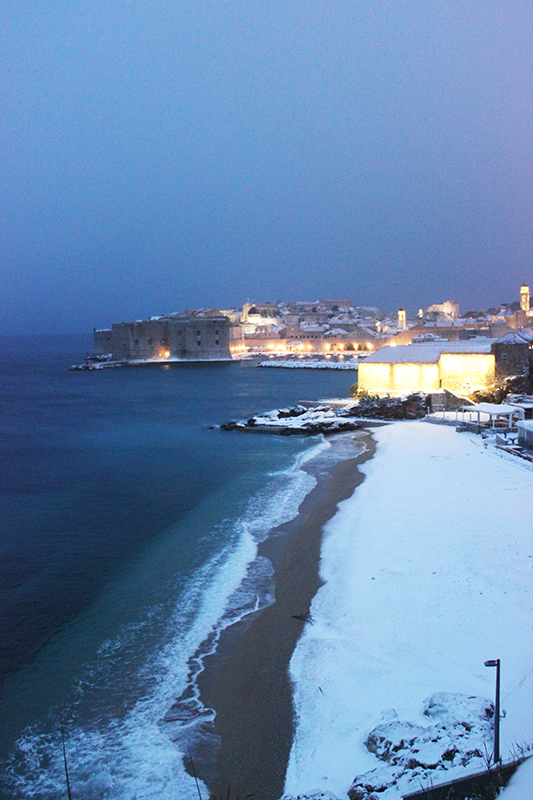 And while I’m slowly walking towards the Old town, I can barely recognize Dubrovnik’s most popular beach Banje… Is this really my city or am I still dreaming ?! 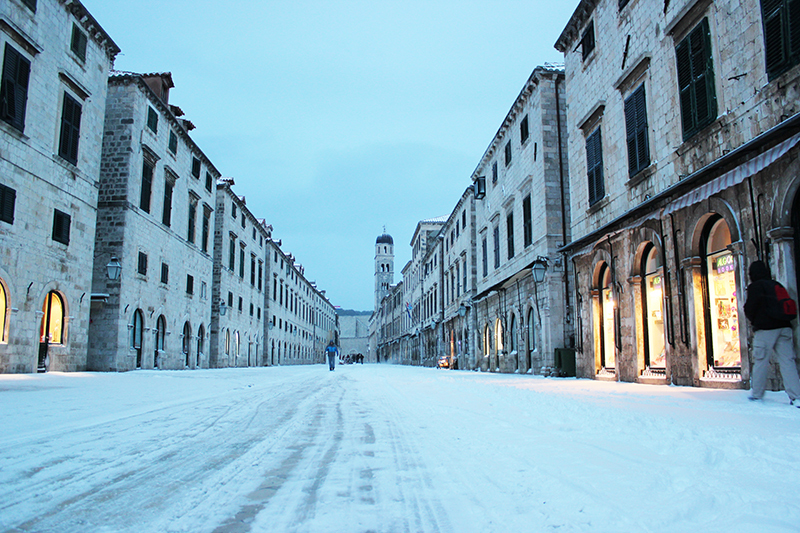 Stradun is a story itself. 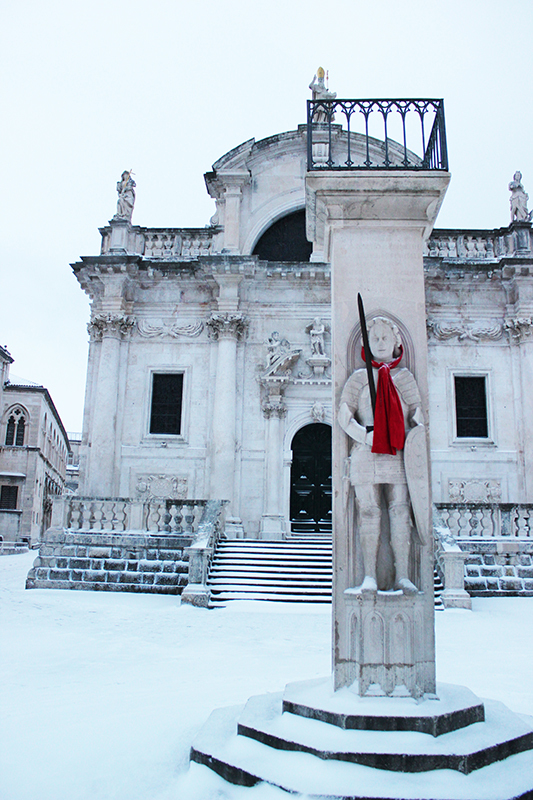 Orlando is proudly freezing, St.Blaise’s church looks unreal… There’s just a few people on Stradun, and they are visibly shocked with this experience. 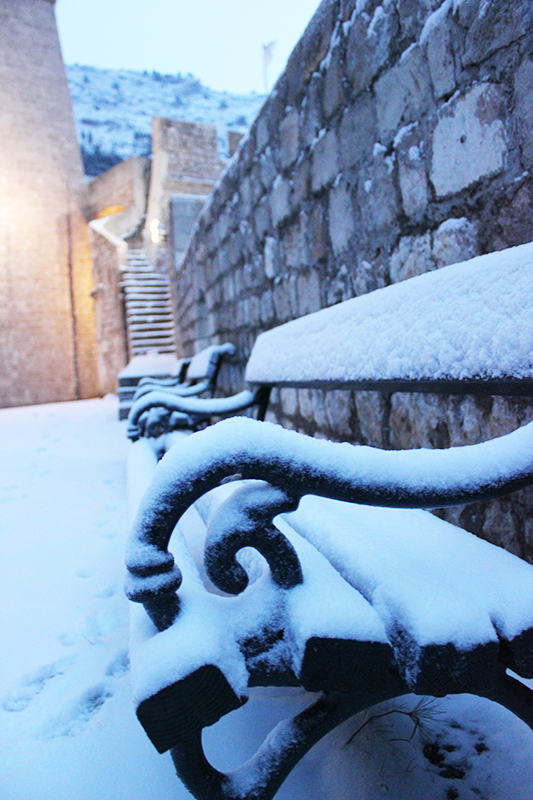 There seems to be 6 inches of snow already! 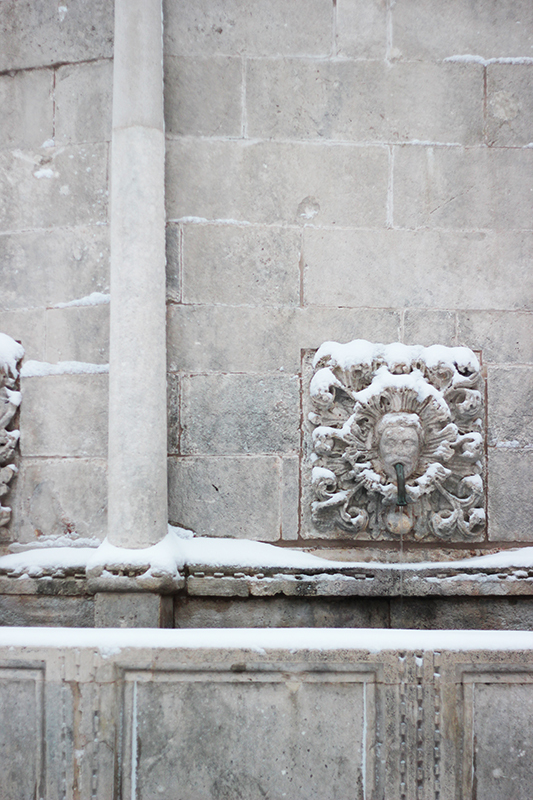 “This really is a winter fairy tale!” – I think to myself. 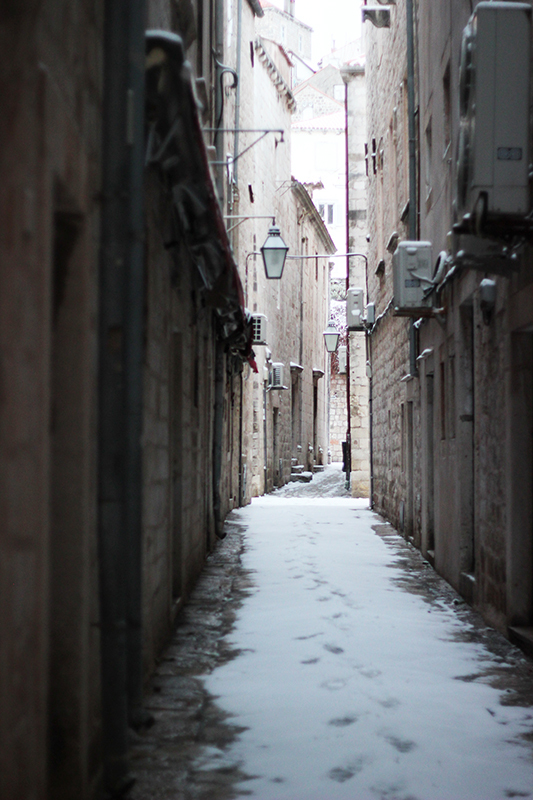 I don’t even know where to look anymore, I don’t know what detail should I capture first… The feeling is unreal. 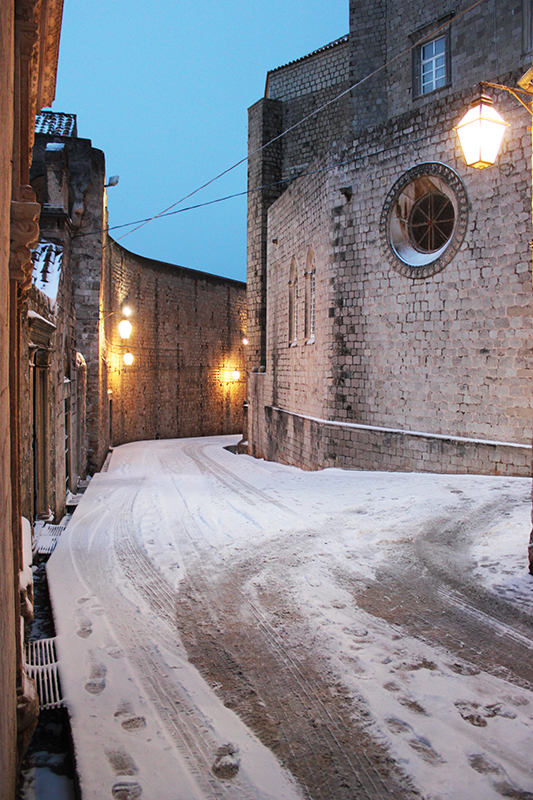 Like I’m in a completely new city, but then again, this is my Porporela, these streets are my streets, these are my staircases… Well, this really is my beautiful city, and it seems to me it’s even more beautiful than usual. 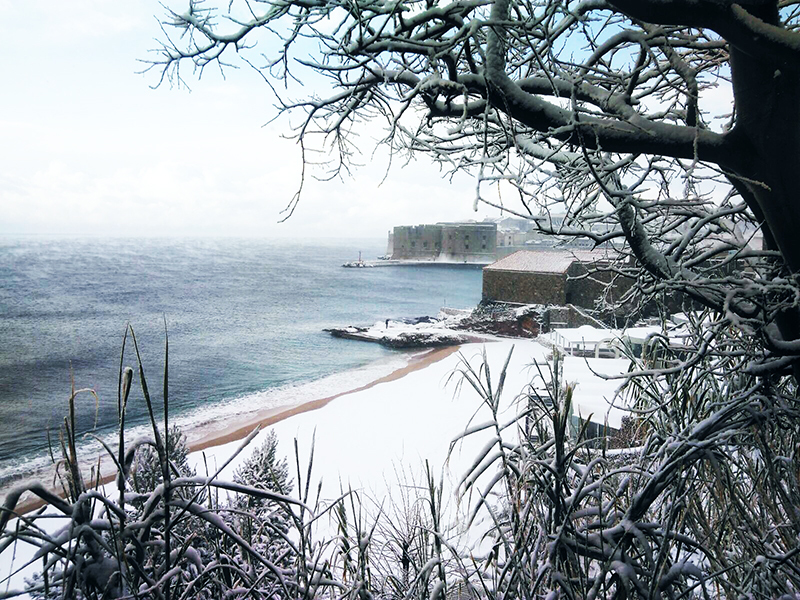 Previous articleCan you capture all that beauty with your camera?